Every gardener hates to see this. A perfectly formed, juicy tomato that’s ready to be picked…until you turn it over and find a dark, leathery spot underneath. 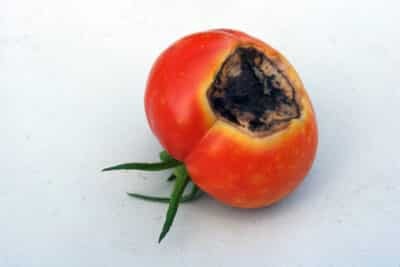 This dark patch of evil is called “blossom end rot.” Believe it or not, the problem does not lie in the tomato plant itself—the problem is in your soil. 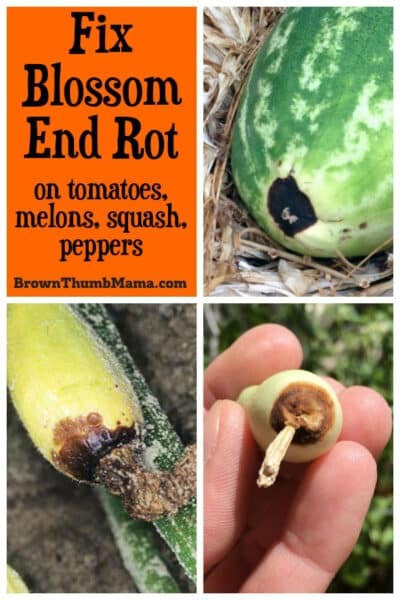 And blossom end rot can happen to tomatoes, melons, peppers, or squash. Thankfully, you can fix blossom end rot. 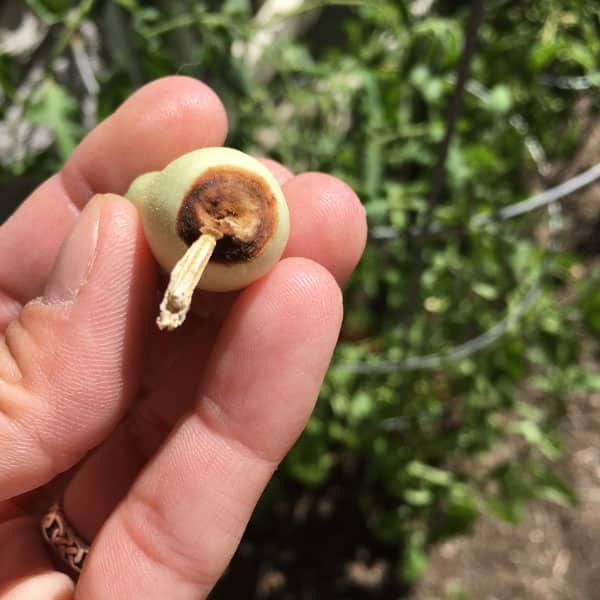 While you can’t “heal” a individual vegetable that’s already damaged, you can prevent blossom end rot from happening again–on the same plant. First, a little background. All plants need to absorb minerals from the soil. That’s why we amend, or improve, our garden soil with worm castings and natural compost (and some folks use fertilizers). These additives can help replace the minerals that have been lost through rain, growing vegetables in the same places every year, and so forth. What causes blossom end rot? Blossom end rot’s root cause 😉 is a lack of calcium. Plants use calcium to produce cell walls and root tips, and calcium is required in relatively large amounts when the fruit is growing. The calcium and other minerals travel through the plant with the help of water. If demand for calcium exceeds supply, or there isn’t enough water to deliver the calcium, the plant’s tissues break down—especially in the root, or blossom, end. 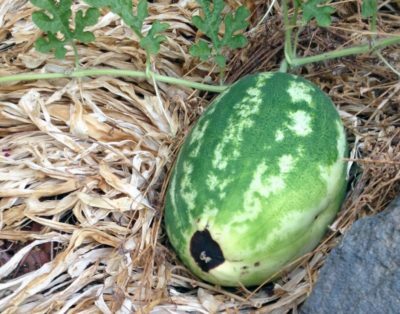 The plant is not watered regularly, so it’s in survival mode and can’t pull minerals from the soil. How do I fix blossom end rot? Test your soil to confirm the pH and adjust accordingly. Your local Cooperative Extension can help you with this, or you can get this gizmo to test the soil yourself. Some folks say you can put crushed eggshells in the soil when you plant. While this seems logical (eggshells = calcium), you should only add calcium if the soil test tells you it’s needed. Don’t use fertilizer, especially ones that are high in nitrogen. Some good, stinky compost will work just fine. Water regularly and use mulch to conserve moisture in the soil. Be sure plants have adequate drainage. Too much water will cause the roots to smother, leading to reduced calcium intake. If you find a plant with blossom end rot, remove it and add it to your compost pile. Follow the tips above to prevent future problems! 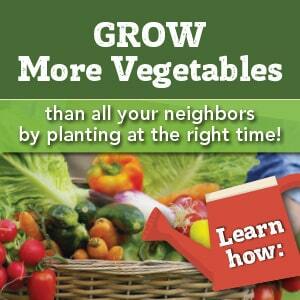 Want more gardening tips? Subscribe to my weekly newsletter! Click the picture to pin this to your Gardening board!